During our duct cleaning service, we will send compressed air into your air duct system, removing all the dust and debris from your Winston-Salem home. 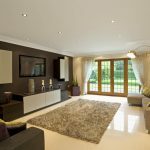 The leading sign that you need to schedule air duct cleaning at your home is something called soil filtration. 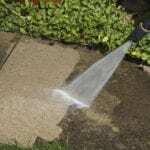 This occurs most frequently at the edges of the rooms in your home or business where the baseboards and carpeting press against each other. Your house breathes through all of its cracks and crevices, and when your HVAC system kicks in, it gets the air stirring around even more. If your system is dirty or putting out polluted air, it’s going to make this soil filtration even worse by forcing dirt and soil through those small places. At Steam Source, we get lots of questions from our clients about duct cleaning and what it means to have their air ducts cleaned. 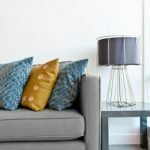 The simple answer is that duct cleaning is the act of removing all the airborne dust and debris from the ducts that are part of your forced air, gravity heaters and HVAC systems. During our duct cleaning service, we will send compressed air into your air duct system, through the register/vent termination of each duct, removing all the dust and debris from your home with our powerful vacuum. The entire system is gone through in this manner. So, why should you schedule duct cleaning at your home in Winston-Salem, North Carolina? Some of the most common pollutants in the normal household duct system can include dust, mold, spiders, insects, rodent feces, pollen and more. Every time you turn on your HVAC system and it begins to blow air through your ducts, all of these pollutants are blown through your vents and into your home. With routine duct cleaning, you may find that your respiratory issues, allergy symptoms, and the frequency with which you experience viral infections are reduced greatly. A bonus is the monetary outcome that comes with duct cleaning. When your ducts get stuffed with dust and clogged with debris, it causes your HVAC system to work harder, costing you more money. You can gain fresher, cleaner and healthier air, and save a few extra dollars on your utility bills each month! At Steam Source, we live up to the promise that we will not only clean your carpets and floors, but we will clean the air, as well! If you’ve been having problems with allergies, respiratory problems or constant illness related to viruses, or if you simply want crisp, clean air in your home, contact us today to schedule duct cleaning! 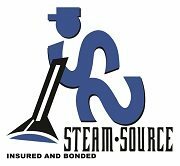 At Steam Source, we offer duct cleaning services in Winston-Salem, Greensboro, Kernersville, Clemmons, Advance, High Point, Mocksville, Pfafftown, Jamestown, Oak Ridge, Summerfield, Lexington, King, Walkertown, Colfax, Lewisville, Welcome, Bermuda Run, Thomasville, Yadkinville, and Walnut Cove, North Carolina.